Dietrich Fischer-Dieskau (28 May 1925 – 18 May 2012) was a German lyric baritone and conductor of classical music, one of the most famous Lieder (art song) performers of the post-war period, best known as a singer of Franz Schubert's Lieder, particularly "Winterreise"of which his recordings with accompanist Gerald Moore and Jörg Demus are still critically acclaimed half a century after their release. 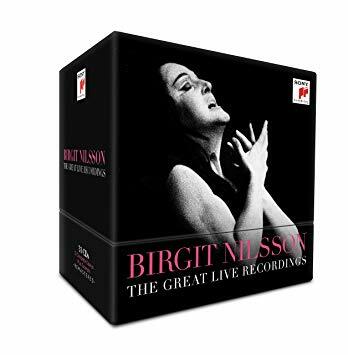 Recording an array of repertoire (spanning centuries) as musicologist Alan Blyth asserted, "No singer in our time, or probably any other has managed the range and versatility of repertory achieved by Dietrich Fischer-Dieskau. Opera, Lieder and oratorio in German, Italian or English came alike to him, yet he brought to each a precision and individuality that bespoke his perceptive insights into the idiom at hand." In addition, he recorded in French, Russian, Hebrew and Hungarian. He was described as "one of the supreme vocal artists of the 20th century"and "the most influential singer of the 20th Century". Fischer-Dieskau was ranked the second greatest singer of the century (after Jussi Björling) by Classic CD (United Kingdom) "Top Singers of the Century" Critics' Poll (June 1999). The French dubbed him "Le miracle Fischer-Dieskau" and Dame Elisabeth Schwarzkopf called him "a born god who has it all. "At his peak, he was greatly admired for his interpretive insights and exceptional control of his soft, beautiful instrument. Despite the small size of his lyric/chamber baritone voice, Fischer-Dieskau also performed and recorded a great many operatic roles. He dominated both the opera and concert platform for over thirty years. Albert Dietrich Fischer was born in 1925 in Berlin to Albert Fischer, a school principal, and Theodora (née Klingelhoffer) Fischer, a teacher. In 1934, his father added the hyphenated "Dieskau" to the family name (through his mother, he was descended from the Kammerherr von Dieskau, for whom Johann Sebastian Bach wrote the "Peasant Cantata"). He started singing as a child and began formal voice lessons at the age of 16. When he was drafted into the Wehrmacht during World War II in 1943, tending horses on the Russian Front, Fischer-Dieskau had just completed his secondary school studies and one semester at the Berlin Conservatory. He was captured in Italy in 1945 and spent two years as an American prisoner of war. During that time, he sang Lieder in POW camps to homesick German soldiers. He had an infirm brother who was sent to an institution by the Nazi regime and starved to death.His family home was also destroyed during the war. As an opera singer, Fischer-Dieskau performed mainly in Berlin and at the Bavarian State Opera in Munich. He also made guest appearances at the Vienna State Opera, at the Royal Opera House, Covent Garden in London, at the Hamburg State Opera, in Japan, and at the King's Theatre in Edinburgh, during the Edinburgh Festival. His first tour in the United States took place in 1955, when he was 29, with his concert debut in Cincinnati on 15 April (J. S. Bach's Kreuzstab cantata ) and 16 April (Ein Deutsches Requiem). His American Lieder debut, singing Franz Schubert songs, took place in Saint Paul, Minnesota, on 19 April. His New York City debut occurred on 2 May at The Town Hall, where he sang Schubert's song cycle Winterreise without an interval. Both American recitals were accompanied by Gerald Moore.